This is genius. My toddler always needs stuff in the car to keep her busy. But when she drops them I can't stop and turn around to give it back. 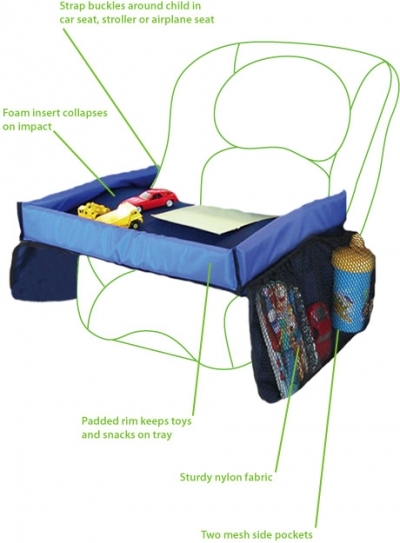 This is perfect to help keep her stuff together and keep her entertained. Awesome, someone should've thought of this sooner! This is really ingenious. 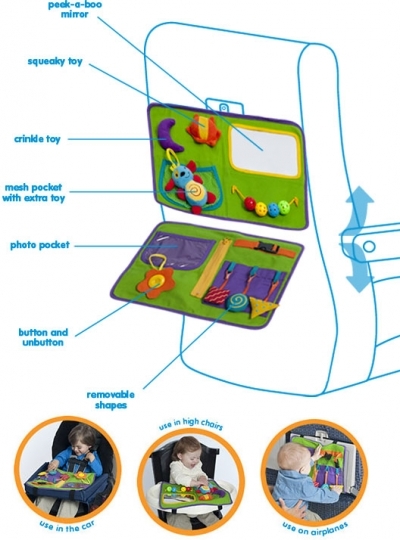 I love the side pockets and love that it works for young kids and older kids.